HOME Minister Rajnath Singh on Tuesday scoffed at Congress President Rahul Gandhi for calling BJP’s manifesto the ‘voice of an isolated man’ and said a large number of people were involved in the framing the party document. In an exclusive interview to ANI, Rajnath Singh, who headed BJP’s manifesto committee, said: “I believe that when it comes to the creation of Sankalp Patra, India in its history has never seen such participation of people. Whatever he (Rahul) is saying is baseless and he keeps saying such things. Do not take it seriously.” Rahul Gandhi had on Tuesday morning posted on Twitter saying: “The Congress manifesto was created through discussion. The voice of over a million Indian people. It is wise and powerful. The BJP manifesto was created in a closed room. The voice of an isolated man. 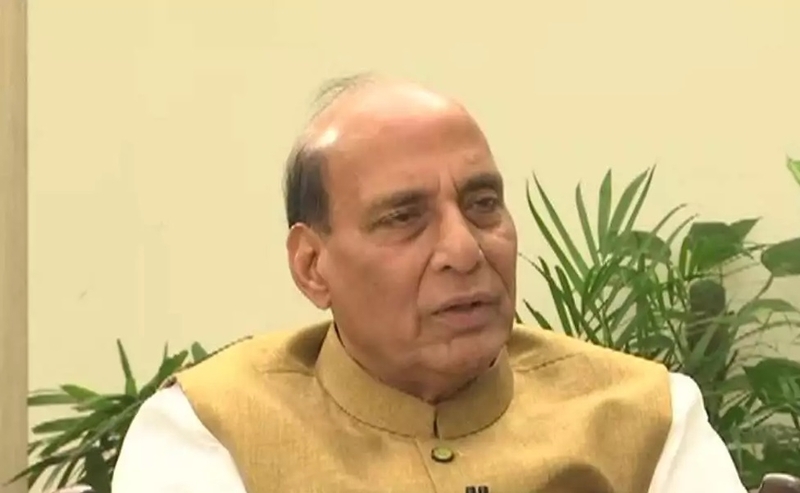 It is short-sighted and arrogant.” Responding to allegations levelled against BJP that it is contesting 2019 Lok Sabha election in a Presidential style “Fir Ek Baar Modi Sarkar,” Rajnath Singh said: “In 2014, I was the National President of the party. Certain kind of attraction had developed towards Modiji across the country so we fought elections by projecting him and we came into power with great majority. He was projected as PM candidate under my chairmanship.” “In America, there is a President and everything revolves around him. This is not a Presidential forum. We work in a democratic manner. It is surely a collective leadership. He is a Prime Minister and it is very natural that his name will come first. A party President has to take everyone into confidence,” he asserted. On Monday, BJP had released its manifesto in presence of PM Modi and party National President Amit Shah. Shah had claimed that the party “took suggestions from six crore people while making the Sankalp Patra.” Terrorism, national security, soldier welfare, Article 370 related to J&K, combating infiltration are some of the key issues highlighted in the BJP manifesto. Terming it a vision document for “New India,” the manifesto promised to create growth opportunities for the people of India as the BJP sought continuity for the sake of stability.